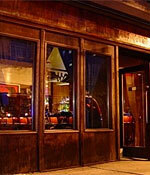 New York City Restaurants and bars - find somewhere to eat in New York. After your shopping tour or after your visit to the theatre, make a visit to one of the restaurants in the town! It is always nice to just drop in to a restaurant and sit down and relax, maybe after a long shopping day or after a nice sightseeing in the town. You find a lot of nice food at New York´s many restaurants. There are food for every hungry stomach - chinease, american, greek, mexican, swedish etc. 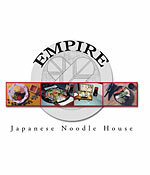 There are also a wide variety from cheap restaurants to the most exclusive ones. We are not able to present every restaurant that you can find in New York, our list is just some samples. We will add new and change them continously. Here we present a few restaurants in New York! Japanese food is called wa-shoku in Japanese. Wa means harmony. Here you will be served Sushi in the old traditional way. Every bite is shaped to the perfection and will be a delight to eat ! Serves both lunch and dinner. Wonderful food: fish, chicken, salmon, meat and some past dishes. The also have private rooms on floor up in the restaurant. Sometimes when there are much people it may take some time go get the food, but it is worth it! Paella, sangria, meat, mojitos, yes it is the food you recognize from Cuba, if you have been there. At Summertime you can sit outside in their nice garden. Thursday´s, Friday´s and Saturday´s the play live music! Perfect place for the younger audience. When you are done shopping or just need to take a break, we can really recommend this place ! 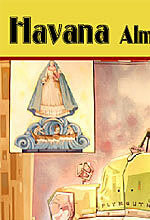 They have great food, it´s fresh, nice atmosphere and a good service. You have to try their hot chocolate, from dark to white and...Yes you can drink it to the food! You can also do some shopping in their shop, porcelain and chocolate. 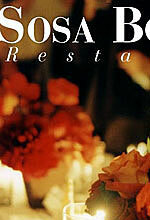 The restaurant have been here since 1902 och is today run by the The Silvestri och Aprea family. A very good place if you are searching for a nice place to get a good steak. You get what you are ordering, from medium to well done, no problems. The Bar for every occasion. Save money when you eat at New York restaurants! 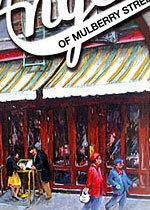 Now you have the opportunity to purchase gift certificates to various restaurants in New York at discounted prices. Ex. a gift certificate for $ 50 you pay only $ 20. The voucher is only valid at the restaurant you are buying it for. Constant tip about restaurant that have that little extra! With a special atmosphere or with a fantastic view over New York! The restaurant with a fantastic view over the city. You can choose between dance and dinner at Rainbow Room or dinner and coctail at Rainbow Grill. 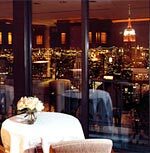 The Restaurants are located on the 65th floor. If you think it is to expensive to eat, go up and take a drink in the bar and just enjoy that your are in New York. Perfect place for romance. 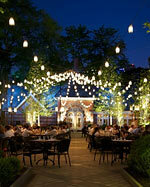 The famous restaurant in Central Park reopened its doors in April 2014 after having been closed since 2009. 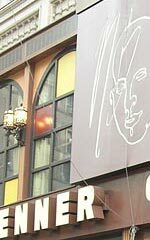 This is an icon of New York and many were happy to be able to eat here again. The first restaurant opened in 1934 and has been serving New Yorkers to royalty. Perfect for romance for both lunch and dinner. The menu is making your mouth watering. It also has a nice outdoor seating. When you come here you will travel back in time and arrive to Vietnam. Decoration with black & white pictures, ceiling fan, palms, wood-decorations etc. The Restaurant have two floors. Lunch and Dinner is served. Nice atmosphere and good service. For you who like Vietnamese food. 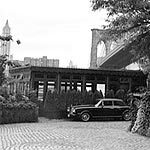 A restaurant by the water were you have a good meal and at the same time enjoy the view of the Manhattan skyline.The Restaurant is located just after you have crossed over Brooklyn Bridge at the right when you come from the Manhattan side. Opened in 1977. A magic atmosphere. A bit expensive. 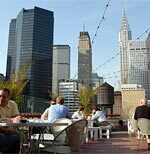 A cosy restaurant with a garden roof top with a fantastic view over the Manhattan skyline. The garden is opened in the Summer time. It is surely good with Mexican food! If you love American hamburgers, visit this restaurant and maybe also take a drink and while you are sipping on your drink (in the summer time) you have a view over Chrysler Building and Empire State Building. You come here with the elevator up to the 16th floor from Shelburne Murray Hill Hotel. Also serve other food than meat. Closed Nov-April. Here you can eat sushi of course and food from Peru and Brasil. Lunch, brunch and dinner is served. Reasonable prices. After the dinner you can take a drink in the bar and have av view over Manhattan and at the same time listen to music that are played by their DJ. Most people visit Central Park during their visit in New York. Why not also have dinner here and at the same time get a fantastic view. You can also rent a rowboat or why don´t try aride in an authentic Venetian gondola. Bicycles can also be rented. Dinner is served during April-Nov. All year they serve lunch. Buy Gift Certificate to New York restaurants and save money! 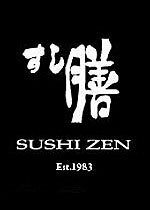 Find more New York restaurants? The return of the automat-food Bamn! When the hunger hits you can always find something at Bamn on St. Marks Place. It isn´t a restaurant but a place to get food for people on the go. You will find inexpensive food like burgers, pizza, hot dogs, grilled cheese and more. Made fresh throughout the day. Put in some money, choose food and then hit the town again. Easy! The blog about American Pizza! New York also offers all the fast food chains and coffee chains. You find them almost everywhere in town.